The tutors are incredibly friendly, they’re always happy to help with any situation and provide constructive feedback. “I enjoy having the opportunity to work through your own designs with support from your tutors and the workshop team. The tutors are incredibly friendly, they’re always happy to help with any situation and provide constructive feedback. Have you been on any trips during your course? “During my second year of study I had the opportunity to go to Porto, Portugal. The trip gave me an insight into the design industry overseas. We visited the IKEA factory enabling me to see mass manufacturing first hand while also talking to the designers behind the projects. “I spent my placement at Object Studio in London, which is built up of three designers pushing the boundaries of CNC Machining to produce high-end wooden furniture. My placement was workshop driven, giving me a hands on approach to design. 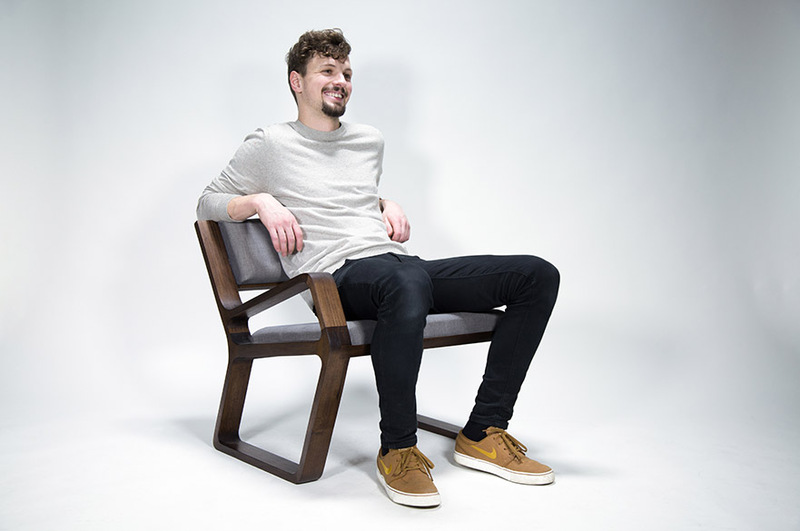 It taught me all about manufacturing techniques, CAD software and the running of a workshop, all of which I see as the skills required to become a furniture designer. “I loved working in the workshop, learning all the processes behind making high-end furniture and being given responsibility to run projects and work through problems. I now have a clear idea of the relationship between design and manufacture. Having improved on my CAD skills while also understanding what the demands are of a professional environment. What would you say to prospective students looking to study in your area?